Another great guest post by Jessica Deltoro…check out her fine work at Daydream Events by Jess! So there is no denying that when it comes to hosting a successful event, the music and the personality behind the mic is crucial for finding the right dj! 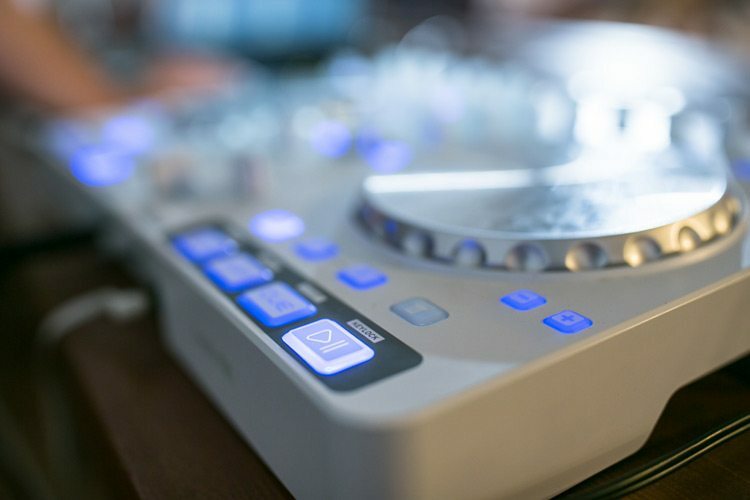 So…… how do you make sure that you find the perfect DJ for your event? Whether you’re planning a wedding, birthday, or high school reunion these questions will help you find your match! First things first….What is their rate? Do they offer payment plans? Are they available for your event? Most DJs play the radio versions of songs, but there are a few that are ok playing the explicit versions. Which is all good….as long as you’re fine with it and your grandma isn’t going to be at the event. Not all DJs do this. Just because they don’t typically attend doesn’t by indicate that they are “bad” DJs. Maybe they have already worked at your venue, or they make a trip to check out the venue on their own time prior to event day. That being said, it’s really up to you to decide how important having them attend rehearsal is to you. Usually a venue will provide tables for your vendors, but in the event that they don’t, does the DJ need you to provide these things for them or will they provide them? So, in my opinion a good planner is not there to “boss” your vendors around, rather they are there to help make things easier for your vendors so that they can make sure your event runs seamlessly. Now, you may have hired your planner for their expert advise but you want to be a “hands on bride” and be involved in every decision OR you may have hired your planner because you didn’t want to deal with all the details involved in planning, or maybe you don’t want to be managing conversations with 7 different vendors and you want to be able to provide the details to ONE person and have them relay your message. if so, is the DJ ok working directly with your planner? Whether you are wanting Bollywood music, Tejano music, or Country you want to know how much experience the DJ has with that genre. In order to keep the party flow going, it’s important to know the right songs to play at the right time, so being comfortable with your DJs experience level in is important. Thats not to say that just because they HAVEN’T played a particular genre that they CAN’T. If you provide a list of artists & songs your DJ can typically build a playlist off of that. This is merely something to consider and be aware of when booking your DJ. So, if you’re having a black tie event you definitely want to be sure that your DJ isn’t showing up in shorts and a t-shirt. Awkward, for you and them! Be sure to let them know what the dress attire is and make sure they will dress for the occasion. The last bit of advice I can give for finding the right dj for you is consider how you feel about the interview after you are finished. Did you like the DJs vibe? How about their personality? Do they seem like someone your party guests will respond to? I hope this provided a good base for what you should ask to find the right DJ to rock your event.